125 years ago the Knoch brothers laid the foundation for the Wietersdorfer Group with a cement plant in Carinthia. This resulted in five business units over the following twelve decades. 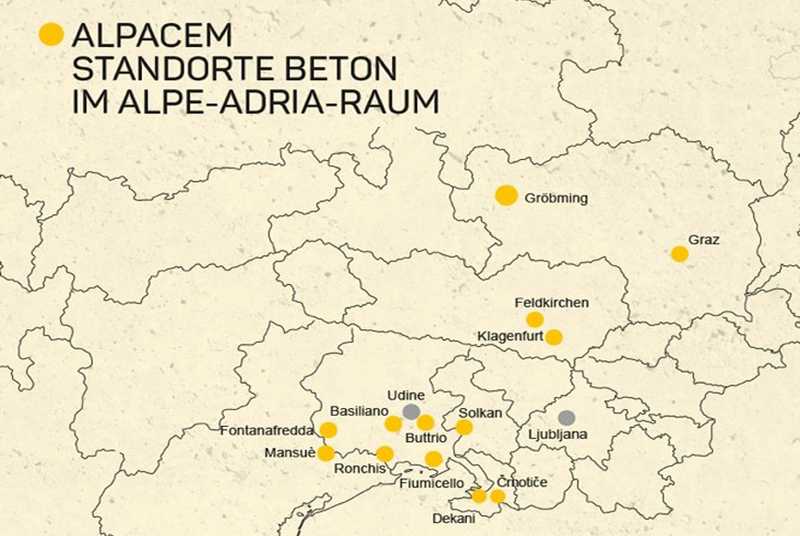 The oldest of these business segments – cement and concrete – is today the market leader in cement and binder in the Alpe-Adriatic region (Southern Austria, Slovenia and Northeastern Italy). In order to continuously expand this leading market position, the Cement and Concrete business segment will operate from now on under the umbrella brand Alpacem. The naming of the new umbrella brand was a conscious decision for Wietersdorfer to strengthen employee solidarity and to be perceived by customers as a powerful entity in the region. 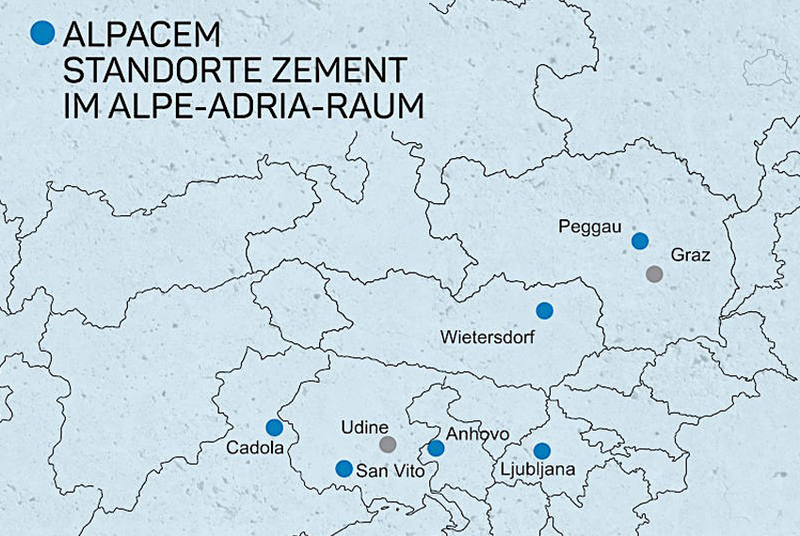 The “Alpa” stands for the Alpe-Adriatic region from which the six companies in the cement and concrete sector originate. “Cem” stands for Cement & Concrete since the cement production has been the core competence both in the past and in the future. The Alpacem umbrella brand will be present in the future together with its regional brands in three countries. 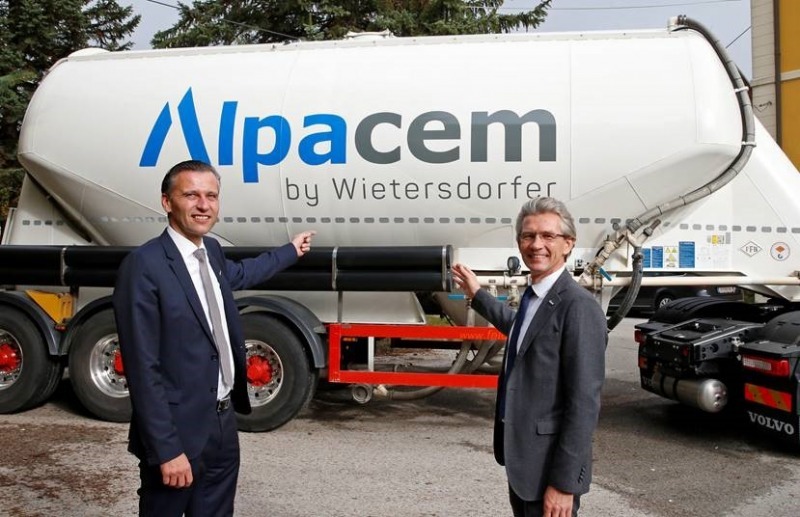 The Cement and Concrete business segment of the Wietersdorfer Group is represented by six regionally rooted companies in Austria, Slovenia and Italy. These include the Austrian companies w & p Zement and w & p Beton, the two Slovenian companies Salonit Anhovo and Rokava Beton, as well as the Italian companies w & p Cementi and Friulana Calcestruzzi. Together, they generated consolidated sales of 155 million euros in the fiscal year of 2017 with a total of 19 locations in the Alpe-Adriatic region. Alpacem currently employs around 640 people.